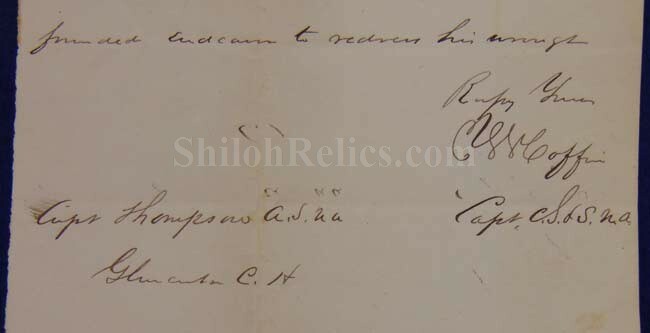 This is an interesting Civil War document. 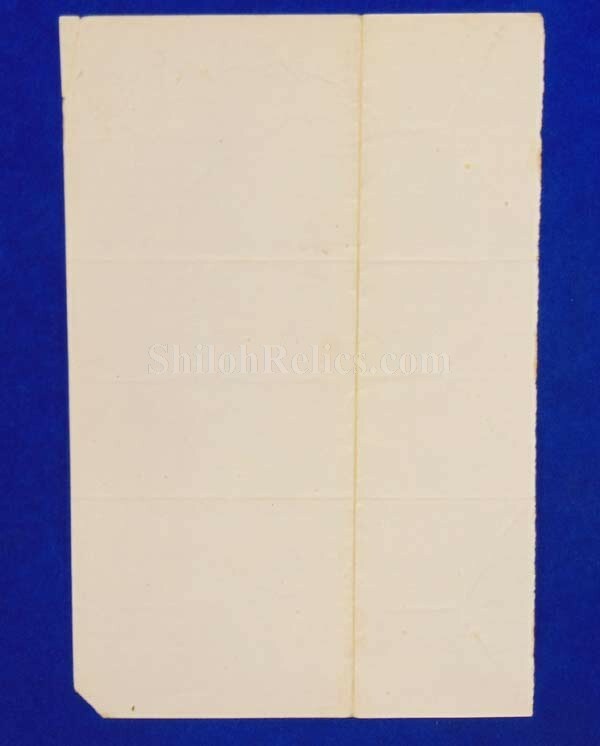 This letter was written to the Captain Solomon of the 5th Maryland. 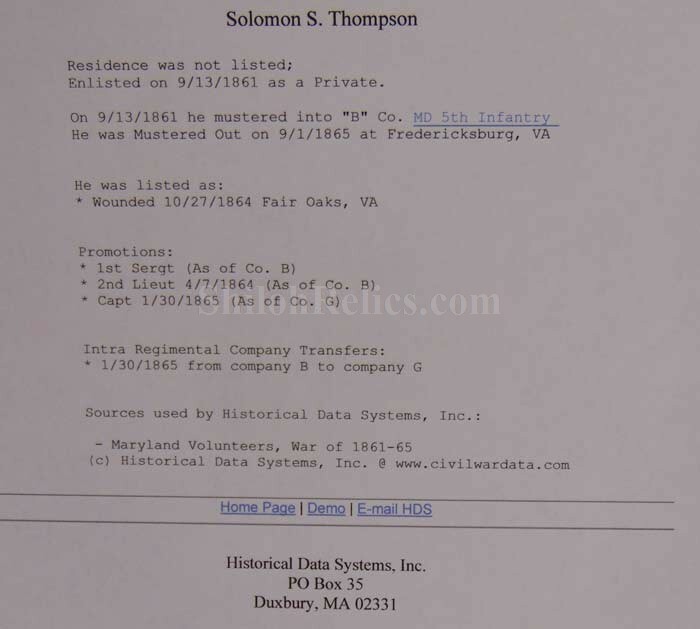 The letter is written to Solomon Thompson, who was a captain of the 5th Maryland Infantry. 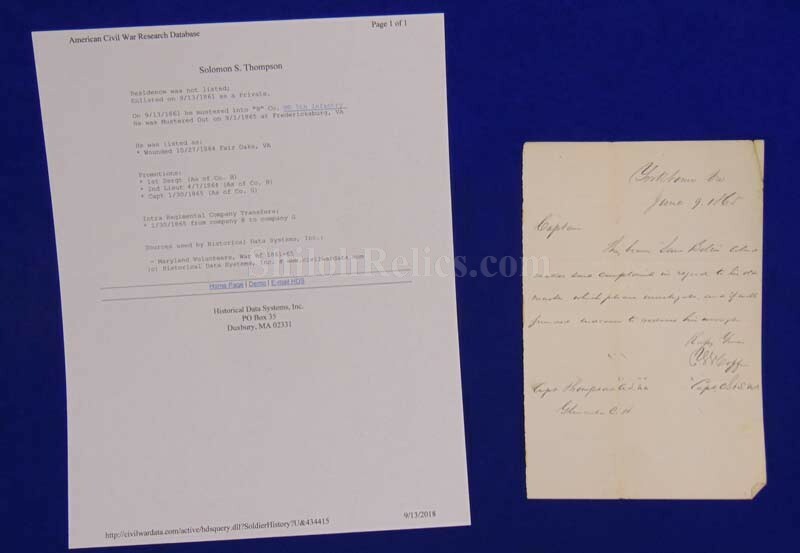 The document is 5-1/8th inches wide and measures 7-3/4th inches tall. 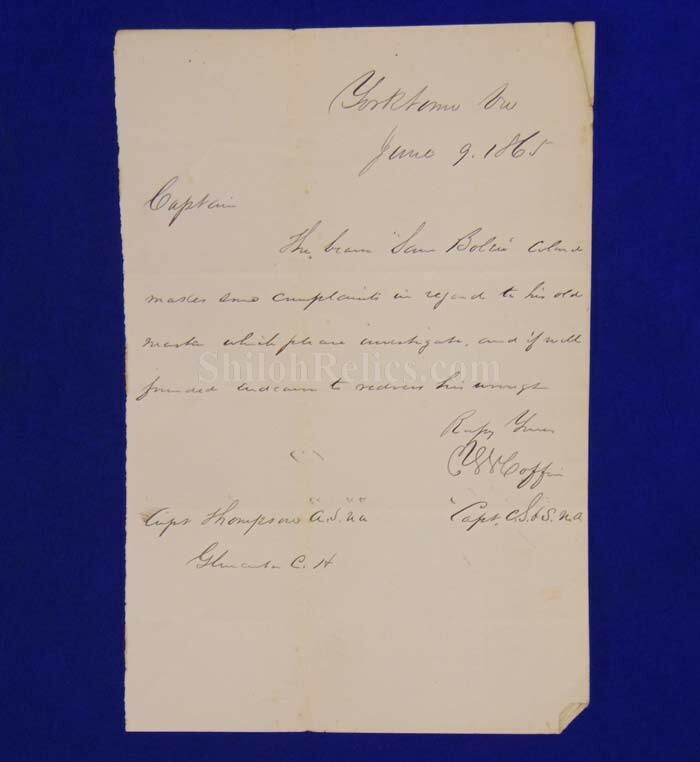 It was written by a Captain Coffin on June 9th 1865 from Yorktown, Virginia. 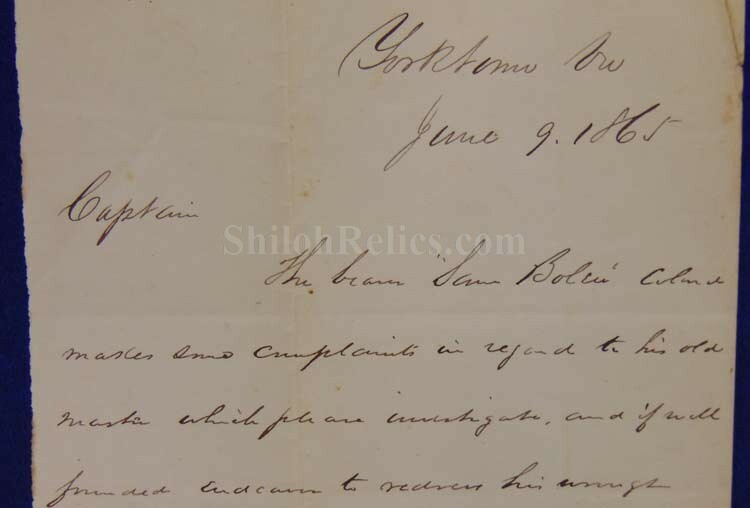 He says that a "Sam Bolin", colored was making a complaint against his "old master". It is nicely written in brown ink on fine old paper.